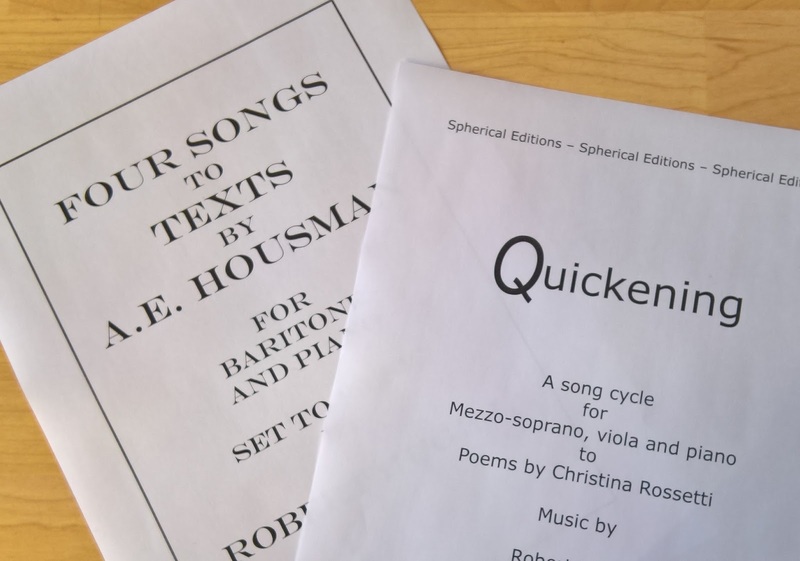 Many thanks to everyone who has supported the crowd-funding for Quickening, our disc of my songs to English and Welsh poets performed by Anna Huntley (mezzo-soprano), Rosalind Ventris (viola), Johnny Herford (baritone) and William Vann (piano). We have made a great start, and if you have not yet supported us please do consider it, just visit http://www.crowdfunder.co.uk/quickening. We had the first version of the final recording from the record company recently (it appears on Navona Records in September) and it is sounding terrific. The disc opens with Johnny Herford and William Vann in Winter Journey, my setting of Rowan Williams Winterreise: for Gillian Rose, 9 December 1995, followed by Four Songs to Texts by AE Housman, and my setting of Housman's When Summer's end is nighing. 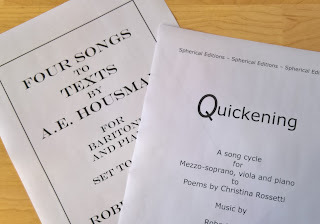 Then Anna Huntley, Rosalind Ventris and William Vann perform Quickening, my cycle of six songs to poems by Christina Rossetti, and then finally Johnny Herford and William Vann in Four Songs to Texts by Ivor Gurney. There is further information about the songs at http://www.crowdfunder.co.uk/quickening, and I will be posting more details about the songs and the poems over the next few weeks.